On the day before he goes to the U.S.-Mexico border to pass out teddy bears and soccer balls to illegal immigrant children, radio host Glenn Beck declared that Americans should not focus on the gangsters, rapists, and killers who have accompanied some of those children across the border. Beck made his remarks two days after Breitbart Texas broke the story about an illegal immigrant who was arrested for murder after being released from a detention center in June with a “notice to appear,” which illegal immigrants often mistake for a “permiso” to indefinitely remain in the United States. 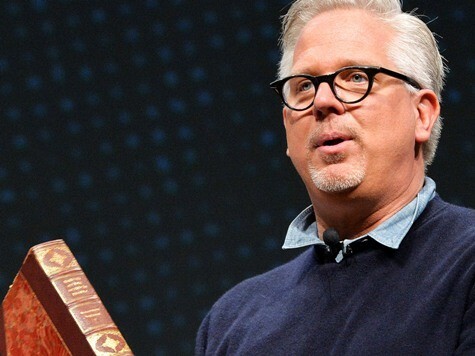 Beck said that Americans – and presumably mainstream media outlets and right-of-center outlets like Breitbart News – should not “focus” on these security threats. Breitbart Texas has reported on MS-13 arrests, the confirmed cases of contagious diseases like swine flu and tuberculosis among illegal immigrants who have recently entered the country, gangsters recruiting new members at detention centers, and a host of other criminal activities that have been committed along the border. Texas Gov. Rick Perry has said that terrorists and the world’s most dangerous gangsters are ready to exploit the border crisis. Rep. Lou Barletta (R-PA) testified at a House Homeland Security Committee Field Hearing in McAllen, Texas, that Americans are the ones who pay the price when illegal immigrant criminals are released into the general population. Americans became more aware of these issues as media outlets from across the spectrum were forced to report on them after Breitbart Texas published leaked photos of illegal immigrant children being warehoused in detention centers. A Gallup poll this week found that illegal immigration is now the “top problem” facing Americans. That was not the case before Breitbart Texas published those photos in June. A mere 5% of Americans said illegal immigration was the country’s top problem then, when media outlets were focused on anything but the rapists, murderers, and gangsters who have unlawfully entered the country in addition to the 57,000 illegal immigrant children who have crossed the border since October of last year. Federal officials estimate that at least 150,000 more will unlawfully enter the nation in the next fiscal year.